Best Drugstore Foundations for Dry Skin in India! Dry skin and a perfect foundation can seem a nightmare for many! A foundation can break or make your makeup look so it’s important to choose a right foundation for your skin type, specially for dry skin as most foundations tends to stick to dry patches and makes the face look cakey/patchy but with a right choice of foundation, dry skin can sure find a perfect foundation. So today, we’ve compiled a list of the Best Drugstore Foundations for Dry Skin that are available in India! 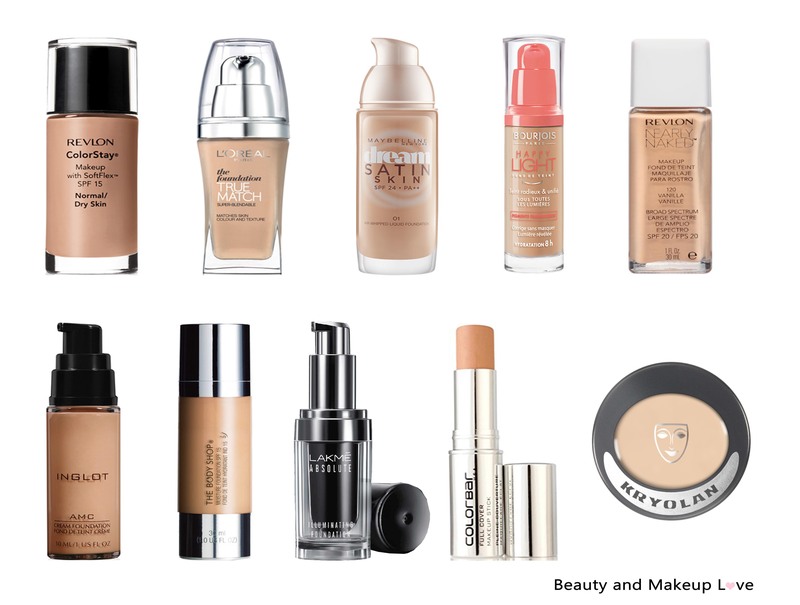 Continue reading Best Drugstore Foundations for Dry Skin in India! Posted on October 7, 2016 October 22, 2016 Author ArzooCategories Best of the Best, Dry Skin, FoundationTags Best Affordable Foundations, Best Drugstore Foundation for Aging Skin, Best Drugstore Foundation for Indian Skin, Best Drugstore Foundation for Mature Skin, Best Drugstore Foundation for Normal Skin, Best Drugstore Foundations for Dry Skin, Best Drugstore Full Coverage Foundation for Dry Skin, Best Foundation for Dry Skin, Best Foundation for Dry Skin in India, Best Foundation India, Best Full Coverage Affordable Foundation for Dry Skin, Best Full Coverage Foundation for Dry Skin, Best Hydrating Foundation for Dry Skin, Top Foundations for Dry Skin India3 Comments on Best Drugstore Foundations for Dry Skin in India!